This entry was posted in Misc and tagged hellug on 2006-06-03 by keramida. Is that a card? Isn’t it so cute! 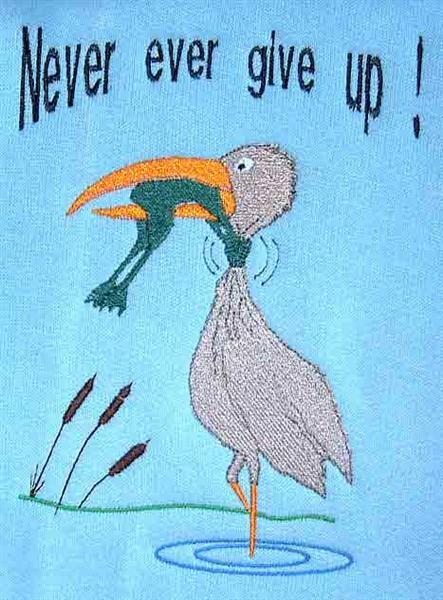 And it says ” Never ever give up”. That sure in one thing that can boost up self esteem! Good job!